If you're in the market for a watch which costs as much as smartwatch and can't be read without a decoder ring then I have just the thing. Meet the Kisai Rorschach ePaper Watch from Tokyo Flash. 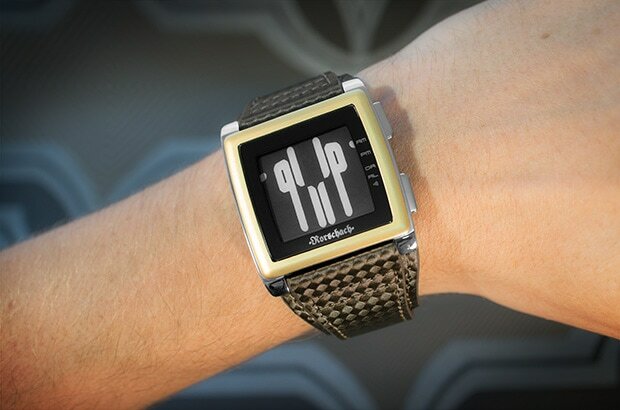 This watch, which has been under development for nearly 3 years, is the first of Tokyo Flash's watches to feature an E-ink screen. This watch continues the traditions of Tokyo Flash's many other uber-geeky watches, and forces the user to learn a new way to tell time. 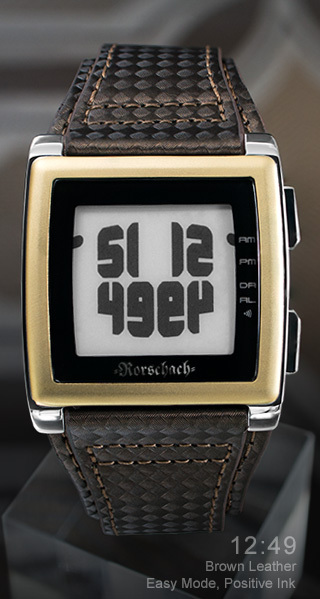 Inspired by its namesake psych test, the Kisai Rorschach ePaper Watch uses unintelligible inkblots to show the time. I think this one looks like a pretty butterfly, don't you? While Tokyo Flash has a reputation to maintain as an uber-geeky watchmaker, they don't actually see their products as practical joke played on their users and that is why this watch also has a difficulty setting which is easier to decipher, The image above shows the watch on the hard setting; the easy setting simply mirrors the numbers across a vertical divide. That one can probably be read at a glance (once you get used to it). And that's probably a good thing, because the first concept design for the display really was the next best thing to unintelligible. You can see one example at right. I'm glad they changed it in favor of a simpler display, because even with the clue that this represented a quarter til I still couldn't figure it out. You can find the watch on the TokyoFlash website. It retails for $199, which includes free shipping to (almost?) anywhere in the world.